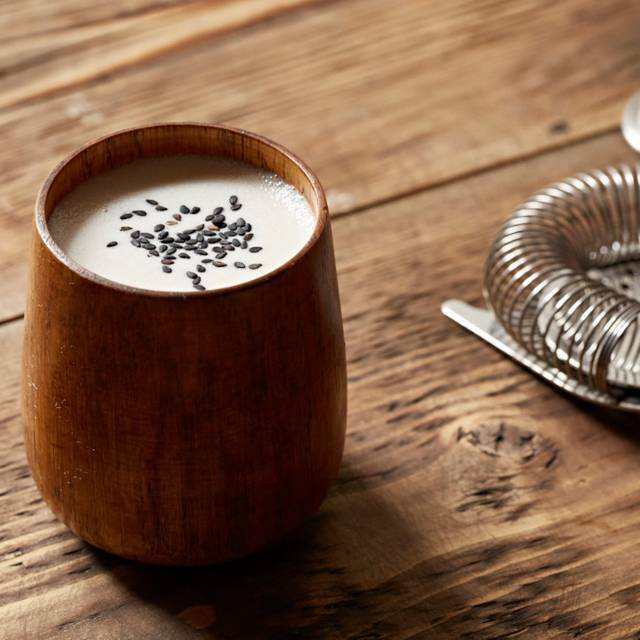 som saa is a Thai restaurant and bar using seasonal British produce and quality Asian ingredients to serve regional dishes from across Thailand. 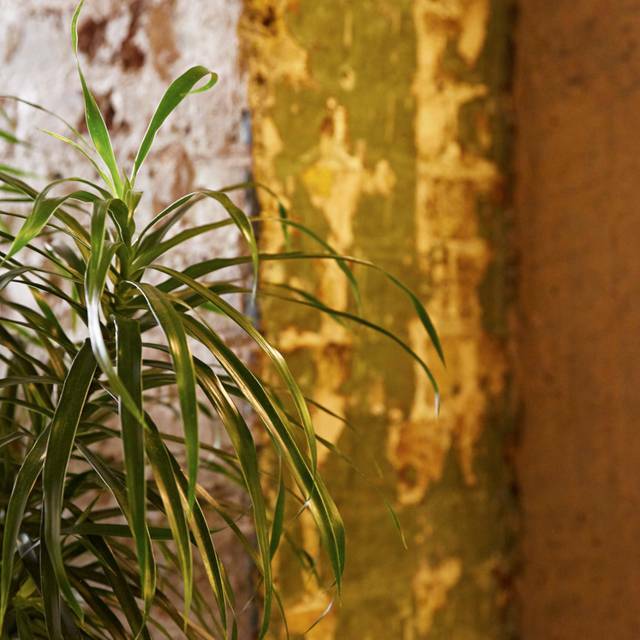 Previously in residence at Climpson's Arch, we now have a permanent home in an old fabric warehouse near Spitalfields Market, East London. 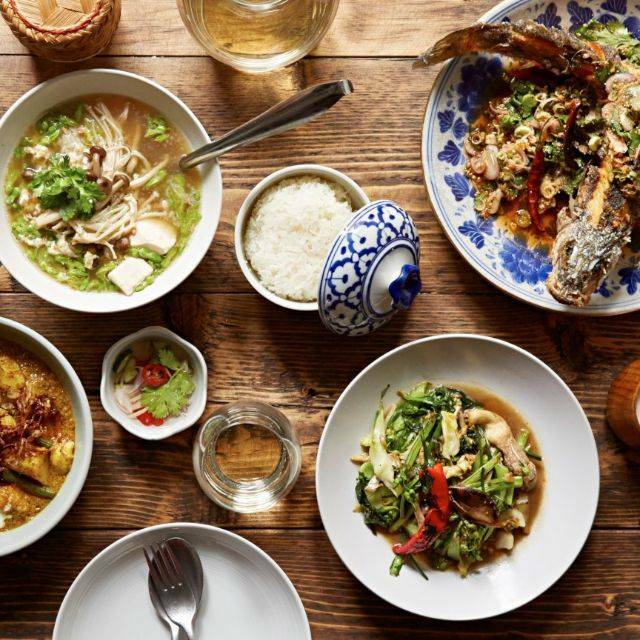 Som Saa was once a pop up in London Fields, and is now a full blown restaurant near Spitalfields that’s become a new London Thai classic. Beware that most dishes are very spicy. Food overpriced, not actually typical Thai food. Food was amazing however our waitress was overly insistent and wouldn’t let us order what we had intended as it would affect our ‘experience’ of the food, but did not offer helpful suggestions otherwise. They also did not have a record of our booking, despite having received a confirmation. Overall it made the visit less pleasurable. Would recommend just for the food albeit on the pricier side. 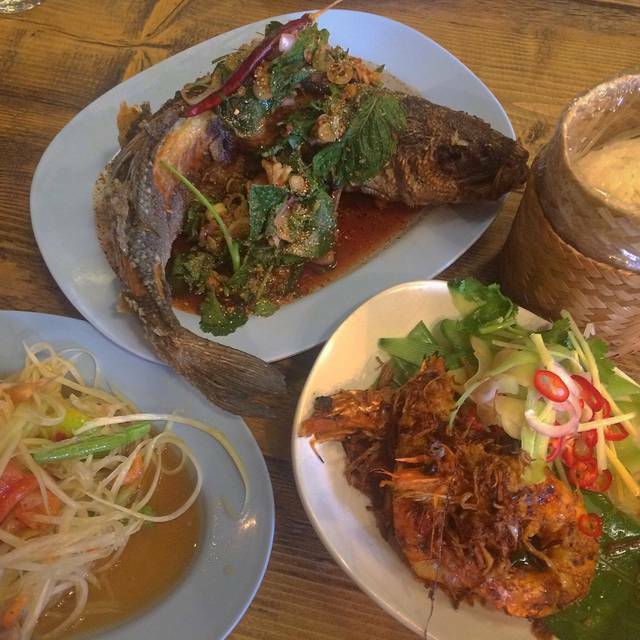 Excellent Thai food with dishes not found at other London Thai restaurants. Great cocktails and dessert as well. Prices are reasonable for the authenticity of ingredients and service was attentive. Highlights include the trout curry, grilled prawns, fried sea bass as well as the lovely palm sugar ice cream with caramelised banana! Truly excellent Thai food with authentic flavours and spices. The only suggestion would be to have more vegetarian dishes if possible. The food was amazing, I enjoyed the meal! 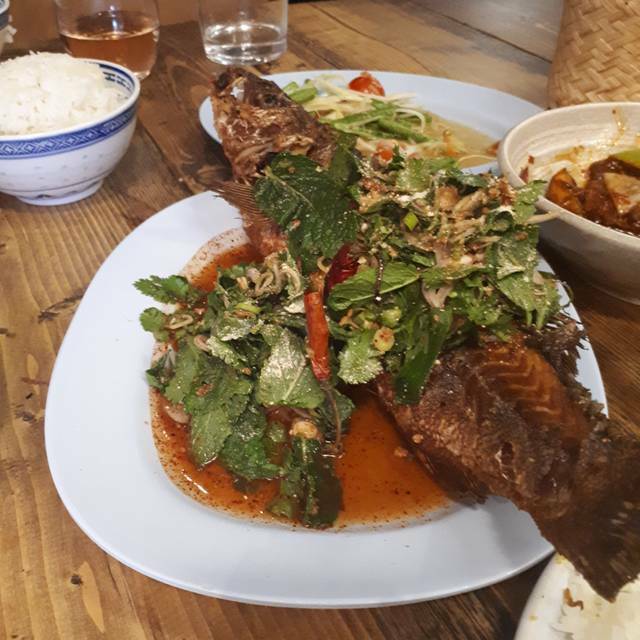 I’ll definitely be back here for the nahm dtok pla thort - the whole deep fried seabass was just outstanding!! Slow service, lack of starters with average food choices..trendy beer choices represent poor value. Not enough staff. Thai food was great. Creative without compromising authenticity. Flavours were excellent as was the decor and ambience. Will be returning and would highly recommend. I’ve wanted to go to Som Saa for ages and it did not disappoint! Absolutely delicious flavours and fab cocktails. Only negative I can say was that we didn’t have room to manage a dessert! Food was astounding, perhaps the second best tofu I had in my life (only after street food in Kyoto, Japan, which is kind of hard to beat). The place is great, very cool view into the kitchen and you can actually see how your meal is made. The service was great — very friendly and patient towards our 2.5 year old ;-) Totally recommend! Thank you Som Saa! Delicious food, friendly and knowledgeable staff, very attentive without being overbearing. We started off with cocktails recommend by the waiter and they were delicious (I had the mezcal and tequila)! All the food came out quickly, was full of flavour, very fresh and had plenty of heat (they did warn us!). Personally rate Som Saa as the best Thai I've had in London, always on point! Really varied menu. Recommend you order 4 dishes between 2. Staff very professional. Food very good. Nice drinks menu. Went for a birthday and was surprised to be given complimentary drinks at the end of the meal. Overall a really enjoyable experience. Will definetly return. Amazing food. 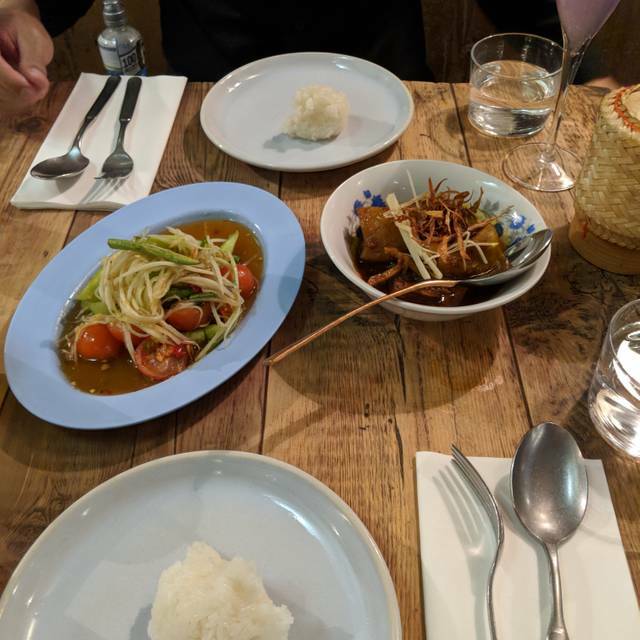 Possibly one of the best Thai food my friends and I had in London. Deep-fried sea bass and pork belly curry are both musts!! Everything was cool.. food was amazing as were cocktails.. highly rec. Loved the food there, really authentic and takes me back to my time in Thailand. The only thing is that it's slightly expensive. The service was great, but a little pushy since they had people waiting for tables. So would have been better to have more time given that we were a bigger group, and groups tend to take longer. But still, would go back again for the papaya salad and the curries. The fish was also amazing, and don't miss the desserts!!! Except the drinks, everything is fine. We had the set menu for two which allowed us to sample a good range of of dishes som Saa had to offer. The food was vibrant and fresh, and the service and ambience was good. Special note on the desserts: these were intriguing and exceptionally tasty. Great place. But £3 for limitless rice was not the case. Brought out 2 rice for 4 to start with then 1 rice to share with our main. That’s very little for £12. Made u wait if u asked for more. So very miss leading. That’s 3 bowls for £12? Shame. The food was delicious, it took me back to our time in Bangkok. Excellent food - our favourite was the belly pork curry just delicious. Plenty of food for the heartiest of apetites! We met our son and daughter in law for a meal. They live nearby and my son walks past Som Saa everyday and is captivated by the aromas. He has always wanted to eat there. It is extremely popular and we were lucky to book a table. The staff were great they explained that they recommended 4-6 mains between 4 to share. They asked how hot/spicy we liked it. When we had made our selection they suggested that one dish would be better slightly less spiced than usual to suit our expressed preference. The food was tasty, well prepared and served just at the right pace. We went for the fixed rice option where different rices such as sticky rice and jasmine rice are served with the appropriate main. 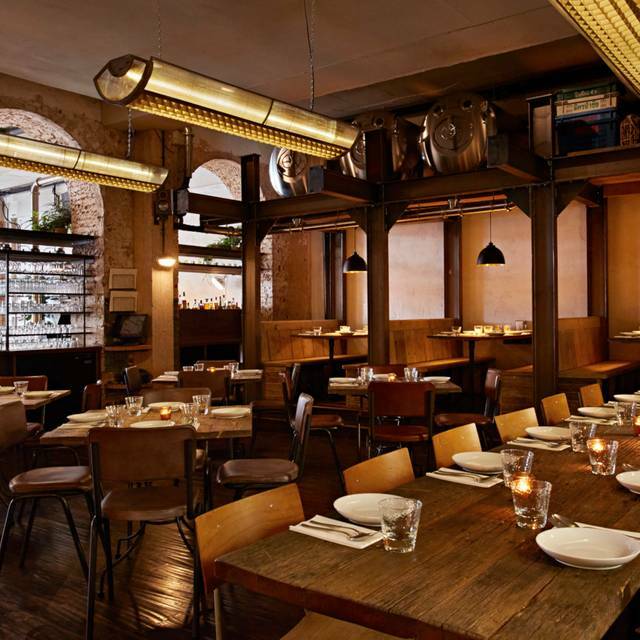 The service was great, the food was excellent and the price was reasonable. We would happily recommend. Everything we ate was good but the deep fried sea bass and ox cheek curry were delicious. Always impressive with an ever changing menu that doesn’t disappoint. The most authentic Thai restaurant I’ve found in London, and the most modern at the same time. We had grilled shrimps, pork belly curry and vegetarian soup with rice and loved everything. Drinks are also amazing, including the classic Thai iced tea. The most interesting Thai food I've had outside of Thailand and a really great atmosphere. Not the cheapest, but still very much worth it. Nice place, tasty authentic Thai food, good service. Palm suger ice cream a taste sensation! Well worth checking out. When our party of 5 arrived the hostess told us she only had a table for 4, and - instead of finding a solution - fabricated a story about us having changed our reservation from 5 to 4 when confirming the reservation on the phone in an attempt to cover up her mistake. It was cringingly unprofessional. Otherwise, the place is lovely, and the other staff members were up to par. However, don't expect to see any dishes on the menu that you'd typically find at a Thai restaurant. We had a a great meal at the restaurants with friends. the food is really good but rather small portions. As always, greeting and service were friendly, efficient, and unfussy. It was a busy luncheon service but we were offered water and drinks immediately on sitting down; we asked to move to another table and were accommodated graciously without a blink; after ordering, the the food arrived quite quickly and was of the usual high standard - moist and tasty tamarind chicken legs; rich and unctuous slow-cooked pork belly; perfect jasmine rice; and a crisp and tangy salad. We enjoyed ourselves immensely - thank you. 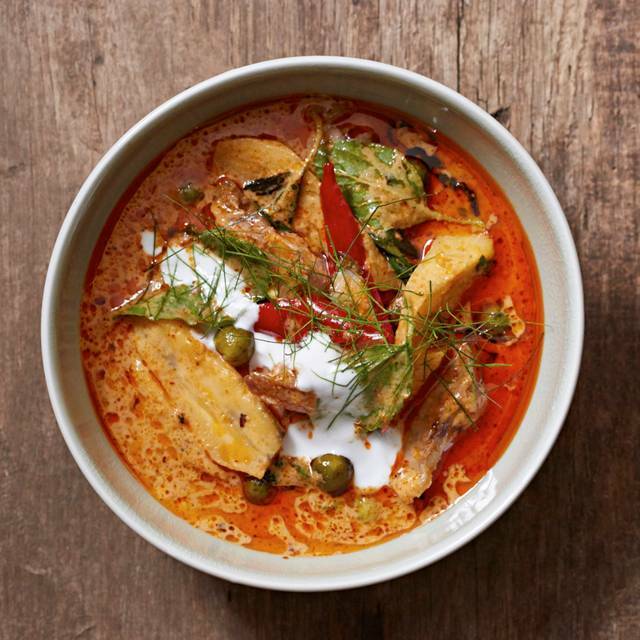 If you’re looking for a Red or Green Curry or Phad Thai noodles you’re in the wrong place. In actual fact there was no evidence at all of the usual thai food you might be expecting or noodles for that matter. The food is a little more authentic. So what did we have? 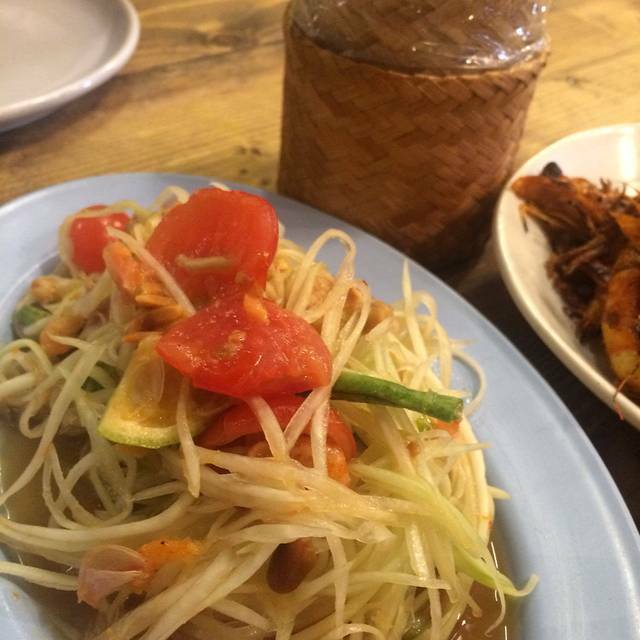 Well Som Saa is all about sharing and the recommend 2-3 dishes each. So we had 2 king prawns, 2 smashed chicken, Lamb, pork belly and 2 whole sea bass. 2 lots of sticky rice. So for 4 of use with 1 bottle of wine and a cocktail it was 200GBP. The lamb and pork were very fatty. We left most of it. The sea bass was very good indeed and was the highlight of the meal. Prawns were ok and chicken was ok as well. We had the steamed vegetables (also very good). To finish off we had 2 desserts and those 2 were pretty good. I have 1 more point to make about the bill. I was charged for 4 bottles of water when we had 2 and we ordered 4 lots of sticky rice but got 2 as mentioned. Overall the meal would have been fair at 100 for 4. As i said the pork and lamb quality was bad and chicken and prawns were simply ok. For 200 though you need to be better than this. It was an experience that was a little different to most Thai places but it was definitely not good enough to have me come back. At this price there’s far better to be had out there. Greeting was good, table was ready on time but we waited over an hour for all of our food and annoyingly one persons food came a good 15 minutes before everybody else’s. Ideal location for a quick lunch. Food was very tasty and seemed authentic. will definitely go back. Great food, If you want to try authentic Thai cuisine then this is your place. highly recommended, especially the sea bass and the veggie curry . Exceptional, authentic food. This was by far and away the most delicious Thai food I’ve ever had outside of Thailand!